It's Bobbie's World: Dusting myself off….and doing it again! Dusting myself off….and doing it again! Start, stop, start, stop….yep this is my life and trying to live a healthy lifestyle..well when it comes to incorporating exercise. See, I know the goal is to start and to keep going, but sometimes life just gets in the way and I will do everything BUT….exercise! And not to mention I have a love/hate relationship with this thing below, lol. 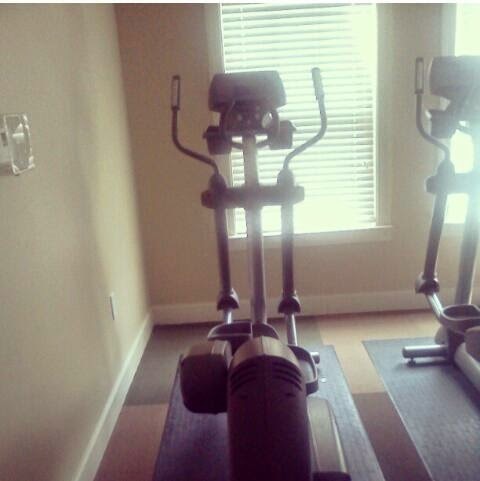 So, I will just dust myself off and do it again and try to rekindle my relationship with the elliptical, lol. What I am learning is that ….we all may fall off at some point, but the key is to get back up and get back at it, and that is exactly what I plan on doing. How do you keep going without falling off from exercising or living a healthier lifestyle? If you fall off what motivates you to get back up?